The Board of Ability works with the Senior Management Team to set the strategic direction of our organisation. It is responsible for ensuring that we continue to operate as a financially viable business, providing effective and efficient services. The Board has places for six to nine members. We currently have seven, with backgrounds in a number of relevant business areas. They give their time voluntarily. The Board meets four times a year and holds an additional strategy day. Members also take part in three Board committees, which meet at least twice a year – the Finance, Audit & Risk, and HR & Customer Service committees. 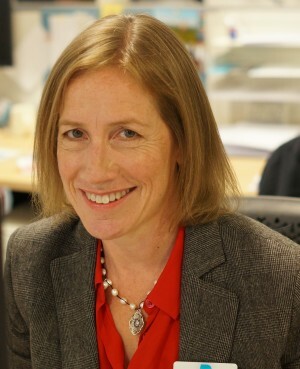 Jane Harrison became Chair of the board in March 2015. She has substantial accounting, auditing and financial management skills and experience, both within the housing sector and as a professional advisor. A qualified accountant, she currently works at Paradigm Housing Group. Jane is a member of the CIPFA Housing Panel and CIPFA Housing Finance Manual Editorial Board. Sally Reay is a qualified accountant with a background in corporate finance and treasury. With over 30 years’ experience in local government, commerce and housing she is currently Finance Director at Bracknell Forest Homes. Appointed to the Ability Board in 2015, she is supporting the association’s role as a key specialist provider in a rapidly changing sector and is Chair of the Audit Finance & Risk Committee. Nicola Philp joined the Board in 2015. Currently UK Head of Employment Law at ISS UK Limited, Nicola is an HR and employment law professional, with housing sector experience. Nicola previously held a non-executive role with a spinal injuries charity. Maureen Osbourne, is a naturally uniting and tenacious investment and strategy advisor dedicated to maximising value both personally and commercially. A mathematically astute debt and private finance expert with an extensive legacy in portfolio management, Investment and governance. Standing with conviction, understanding and an ongoing journey of self development. She brings a thoughtful, dedicated and questioning approach to the project at hand with a clear and defined awareness of balancing corporate governance and risk appetite. Now focused on developing her vibrant brand into a portfolio of Consultancy & Non-Executive Director appointments. Jim MacIntyre is a Chartered Environmentalist and qualified civil engineer with over 30 years’ experience working in the Utility sector. He is currently the Head of Operations at South East Water UK having held senior management roles in engineering, asset management, buildings and facilities management, business management and large scale operations management, both in the UK and overseas. governance and has worked within a wide range of regulatory and supervisory frameworks.